After leaving Alta, we took Hurtigruten (the coastal steamer) from Skjervøy to Brønnøysund, to avoid some of the long drive home. After getting off the boat, we spent three days on the way home, stopping off to see some South Sami sights on the way. On the way down to Trondheim, we stopped briefly to see the “Bølarein” – a 6000 year old rock carving of a reindeer. What was most impressive is how big it is – 180cm long and 136cm high. We stopped for a night in Trondheim. 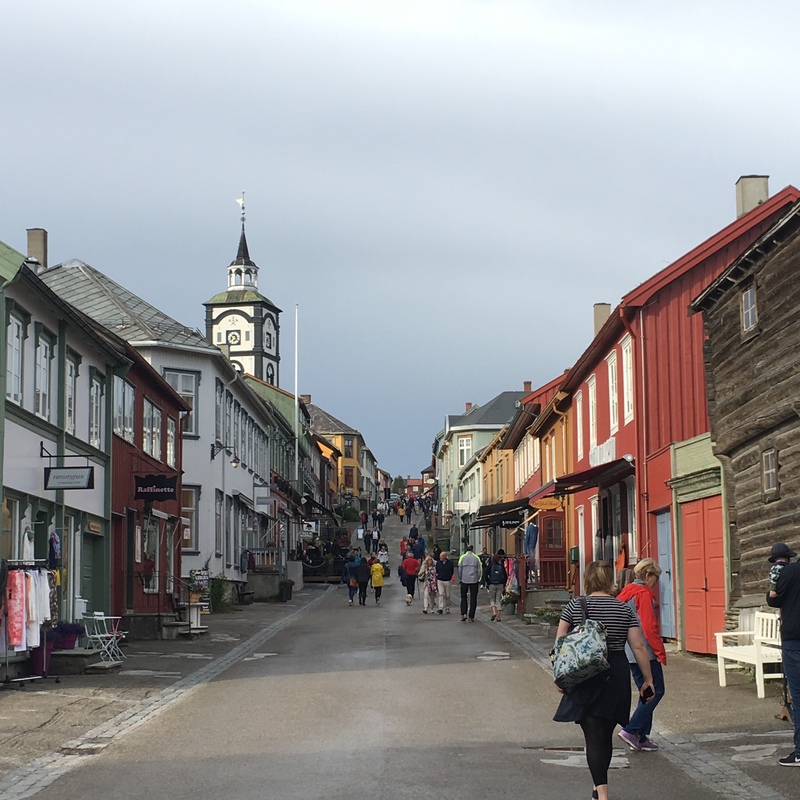 Trondheim was founded by Olav Trygvason and is more of a Viking than a Sami city (in terms of sightseeing), but there a few interesting things to see there anyway. Just off the main square is the old centre of the Christian mission to the Sami. In the museum, there is a small exhibit about the Sami in Trøndelag. Perhaps most interesting to learn was that Sami remains have been found in Valdres and Hallingdal – far further south than areas with a Sami population today. Finally, we stopped by Røros. Røros is a UNESCO world heritage site due to its copper mine. The old town is beautifully preserved and well-worth a visit. 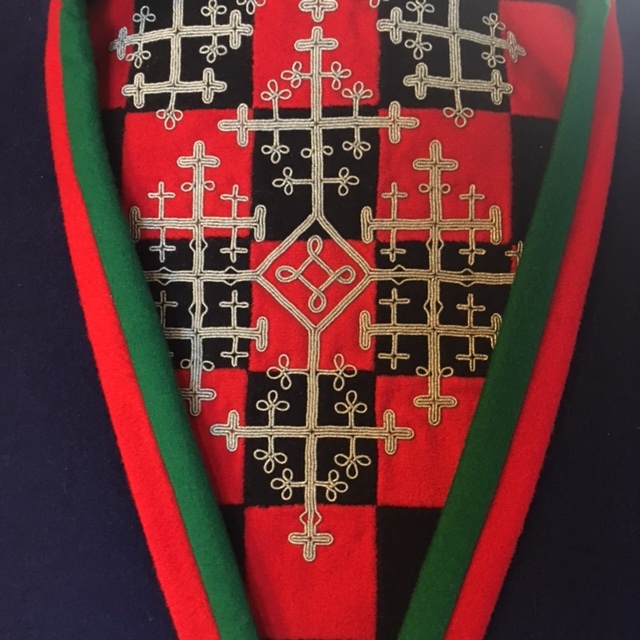 The traditional Sami costume for Røros. This one was made in the 1930s. The rock paintings of Alta is one of eight UNESCO World Heritage sites in Norway. The rock paintings are found in several locations along the coastline, but only a small part of the total area is available to visit. The rocks paintings date from approximately 5000 BC to the year 0. They show different hunting and fishing scenes that are recognizable from the cultural practices used into modern times. The majority of the shapes are of reindeer or moose. Below you can see moose and people (most likely hunters). Below you can see wild reindeer being captured in a fence where they would be killed. There are no longer wild reindeer in Norway, but the herding techniques used today have notable similarities to those shown in the painting. The photo below shows a number of different hunting techniques. On the left is a hunter with bow and arrow facing a herd of reindeer. On the right is a fisherman in his boat, with a fish on his line coming down from the boat. At the bottom of the photo is a man hitting a moose on the head. Exactly what this figure represents is uncertain, but it might be a noaidi (shaman) hitting a moose with a ceremonial moose head club as part of a sacrifice. The lines underneath the moose may be a trapping pit. There are a number of bears depicted in the painting. 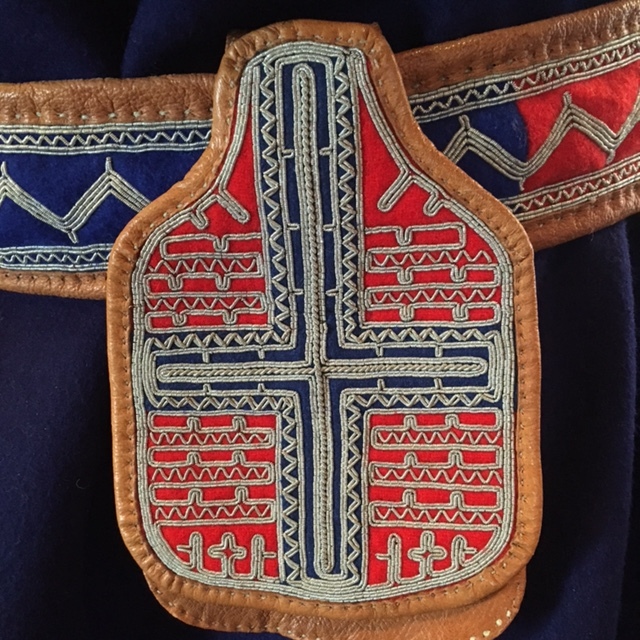 Bears had a special place in Sami culture. They were killed in special ceremonies and their bones were buried carefully afterwards. Bears were believed to have special powers meaning that they could move between the “real” and the spirit world. You can see bears and bear tracks in the middle of the photo below. The style of boats changes in the paintings, depending on when they were made. Some of them have moose heads, as seen in the photo below. Further on up the fjord towards Hammerfest, we stopped briefly at a Sea Sami farmstead. Traditionally, the Sea Sami lived off fishing and farming of cattle and sheep. 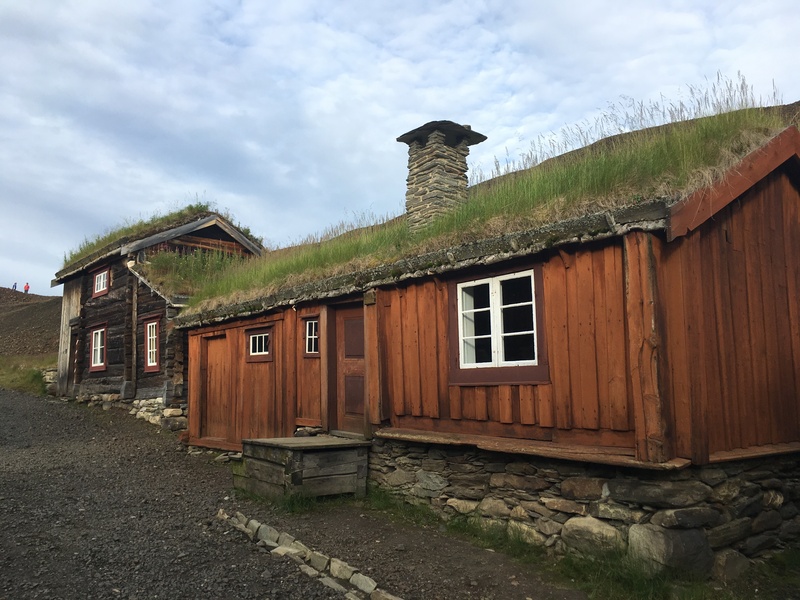 Because of living along the coast, they have come into closer contact with other settlers – both Norwegians and Kvens. This means that there has been more intermarriage and cultural assimilation than in the Sami areas inland. 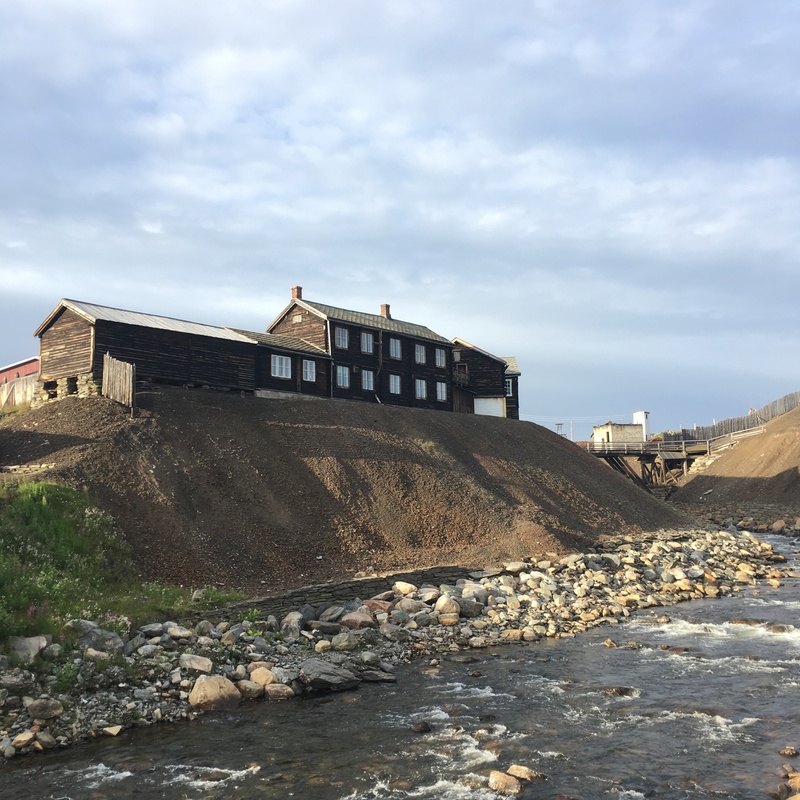 In Hammerfest is the museum of the rebuilding of Finnmark after WW2. The Germans followed a “burnt earth” policy as they retreated. This mass-destruction of homes and villages along the coast, is also a reason why it can be hard to “find” Sea Sami culture today. Many of the Sea Sami, whose cultural affiliation was weakened due to assimilation and Norwegianization, then lost their last surviving connections with their home. The museum in Hammerfest is also worth a mention because I think it has one of the best portrayals of the Sami that I have come across. Instead of being in their own section, set apart from the main exhibitions, as is the norm, they are included throughout the museum as a natural part of the local population and of events described. Among other things, the museum has made up some example homes from different periods in time and taken photos of people living in them. One of these sets of photos is of a Sami family, living in a modern house. It might seem odd that this would be worthy of comment, but so often indigenous peoples are portrayed as people living in the past, living in turf huts or tents. It is important to also portray them as modern people, whose culture is living and evolving, but it is rare for it to be done so well. Looking over Hammerfest from the mountain behind.